You are still looking for an accommodation? No problem, whether you prefer to stay in a nice hotel or in a private villa, of course we can help you to find the perfect place! 15 different accommodation in Cala Blanca with Jet2holidays A complete overview!! Cala Blanca Sun Hotel with Thomas Cook *** Everything within walking distance!! 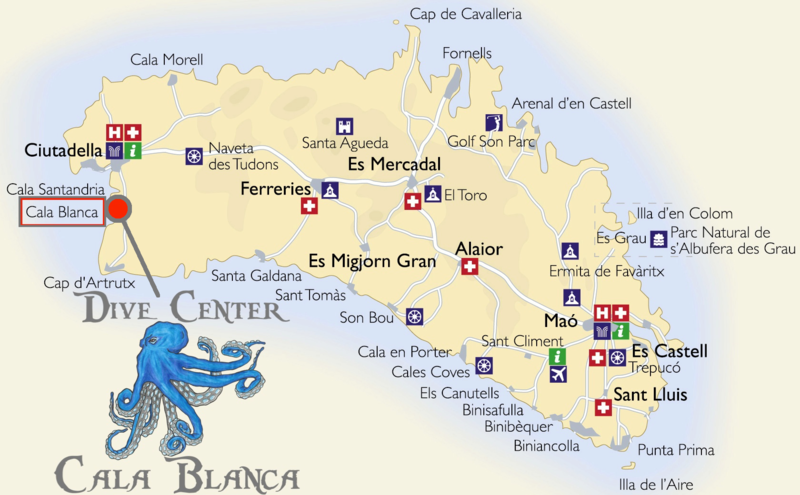 Apartamentos Mar Blanca ** Dive centre, beach, shops, restaurants, car rental, bus stop all within 5 minutes walk!! Apartments Sol Ponent Quiet little place in Cala Blanca, everything with 5 to 10 minutes!! 8,7 on Booking.com!! Apartments Blancala ** Next to Sol Ponent, Also a quiet little place - Highly recommended!! Hotel Globales Mediterrani with TUI **** Closest to the beach and dive centre!! By Spanish law it is a must to have a medical proof from your doctor to go diving.  Please bring your dive medical with you for your sign in at the center (mandatory). A dive medical certificate is valid here in Spain for 2 years. If you don't have one or you forgot to renew it - we have an adress in Ciutadella or Mahon for you with a specialist. The price is between €50 and € 70,- for your diving check up. If you need the form for your doctor - Please download here. Only if you want to do a TRY SCUBA/introduction dive it is not needed, but should be able to answer all medical questions from the questionnaire with NO (otherwise a medical is needed too). Only medical questionnaire - download here! Per Spanish law every diver has to have an insurance for diving. For beginner courses the insurance is included in the price (Try Scuba, Basic Diver, Scuba Diver & Open Water diver courses). Please check your travel insurance - most of them cover diving excursions as well! If you do not have one you can book with us an insurance for a day, week, month or year. If you book an excursion with us - we will pick you up from your hotel and drop and bring you back! If you will bring some non-divers along (depending on our space in the bus) the surcharge for each is € 10,-. All guests under 15 years of age have to be accompanied by one adult which is a free of charge of course. Get a gift voucher for an unforgettable experience on your next holidays on Menorca! Just come to our centre and pick it up, or contact us and we can send it by email or by post!